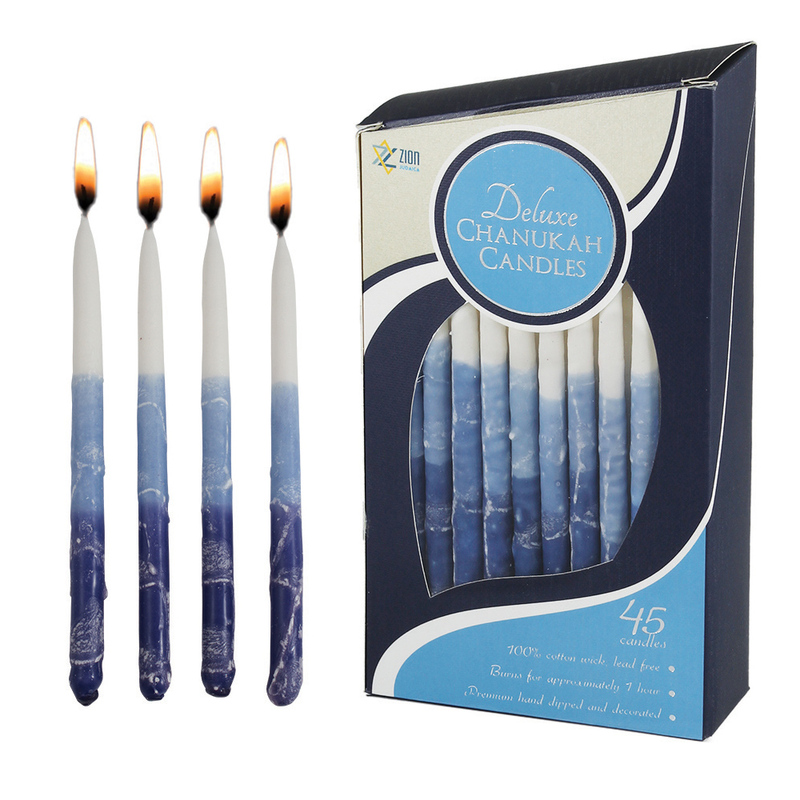 New luxurious Hanukkah candles - Tri-Layer blue elegance. These freshly designed Chanukah candles will add sparkle and beauty to any Menorah. A gradually intensifying blue enhanced with sprayed white streaks. WOW! BLACK FRIDAY DEAL 25% OFF BEST SELLING CANDLES!